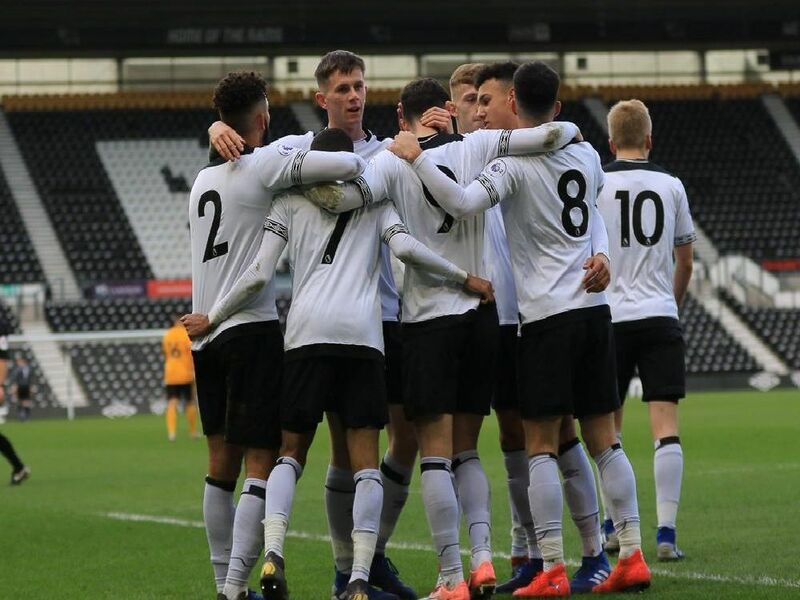 Derby County progressed into the quarter-finals of the Premier League Cup on Sunday by beating Wolverhampton Wanderers 2-1. Check out our gallery of photos from the game, courtesy of Jez Tighe. Jayden Mitchell-Lawson (centre) is congratulated on his goal. Cameron Cresswell is blocked by the keeper. Alex Babos gets a shot in.